We learned a lot on trip #1…specifically what all we would need next time around, & I would love to share this information with you. Now if your condo/house has easy access to the beach, you might not need all of these things with you down on the sand, however my packing list is of the mind set that you are going to stay for a couple hours. We usually go in the morning from about 9-11 and then in the afternoon from about 2-5 to avoid the hottest parts of the day. I’m breaking it down one item at a time, however I’ll include a full packing list that you can download at the end. 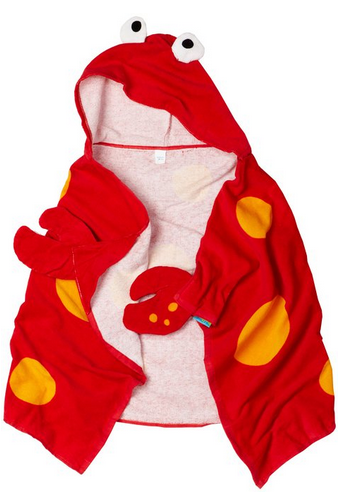 Chickadee has both cute smocked suites and one with a rashguard for those really hot days! I do find for my little Chickadee’s bum it’s nice to have two pieces when it comes to diaper changing! The smocked ones here are from The Best Dressed Child and the rashguards are from Carters. You have two options here: disposable and reusable. We personally went with disposable for our beach trip so we didn’t have to wash the reusable one over and over while on vacation! Both Pampers and Huggies make disposable swim diapers. These cute reusable ones are by i Play and come in ALL colors and patterns. 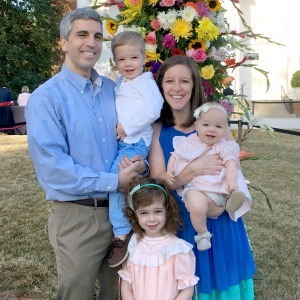 You will hear A LOT of different opinions on sunscreen and what kind is safest for our little ones. EWG.org is a website that gives you a heads up on which sunscreens use the least amount of toxins/chemicals. Regardless of which brand you choose, PLEASE PUT SUNSCREEN liberally on on your little one! 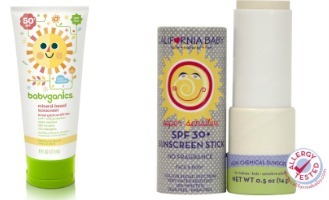 We have been using Babyganics on her body and California Baby Sunblock Stick on her face and have been really happy. A hat is so important for keeping sun off of baby’s face & shoulders. It also does a great job of keeping them cool & shading their eyes. 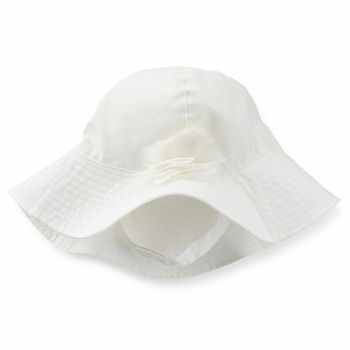 We LOVE our Carters Baby Sun Hat because it has SPF-UV protection in the fabric! Also the strap is a must, especially once they are old enough to want to pull it off! If you can get your little one to wear sunglasses those would be great eye protection too! Now that we have them dressed and lathered up for the beach, let’s keep the cool & entertained while we are there! Obviously you are going to need some shade & a place to sit once you get to the beach! We stuck mostly to an Umbrella and beach mat last time we went to the beach, but I am hoping to try out our beach tent this time! 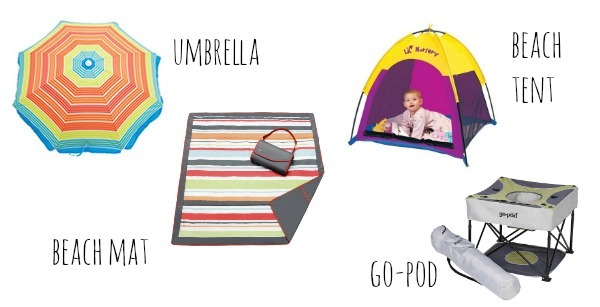 A tent (with a floor like this one) is also a great spot for the littlest of babies to sleep while on the beach. Another option is the GoPod . We don’t have one, but I’ve heard they are GREAT for babies that have great neck/head control as well as crawlers who you’re trying to contain! Similar to an exausaucer, but on the beach :) You probably don’t need all of these things, so think about what works best for your little one. If you plan on getting in the water, safety is going to be key! Two options are an infant life jacket and a baby float with canopy . We use our baby float ALL the time in the pool, but haven’t ventured too far into the ocean yet & honestly I’m not sure we will this time either. However, since Chickadee LOVES the pool water, we plan on bringing along our baby pool and filling it up with water for her to play in under the umbrella! 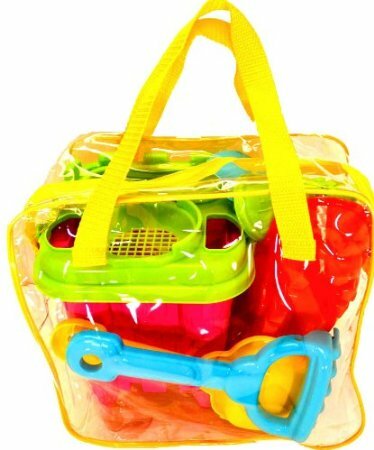 Depending on the age of your little one you might want to bring some entertainment in the form of beach toys . Again, this depends on age, but snacks & water are also great to have on hand if you plan on being down at the beach for a while! 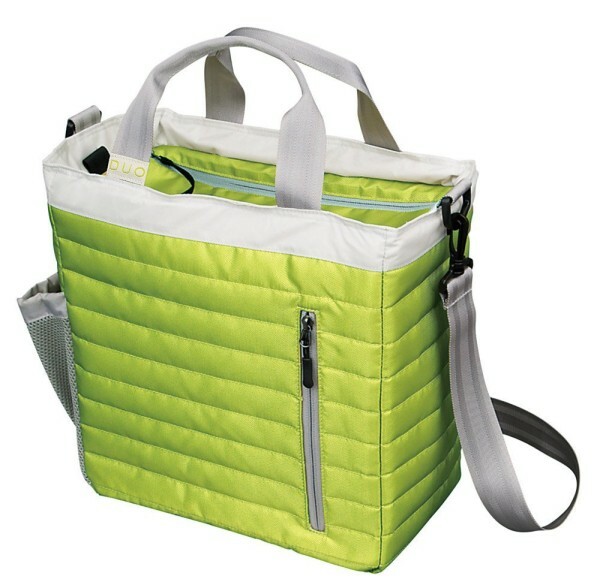 I thought this cooler would be perfect. Did you know baby powder will make getting sand off your little one as easy as 1, 2, 3! Just sprinkle on their hands, feet, etc. and the sand will fall/shake right off! Best beach trick EVER if you ask me. 10+. DON”T FORGET YOUR CAMERA!! If you would like to download a packing check list, click here and it will take you to a printable PDF. Okay, so what am I missing? Do you have any tried and true beach tips for those of us taking our little ones to the beach this summer? I’d love to hear them! **As always only you know what is best for your baby, so please do your own research before buying/using any products with your little one. This post does contain affiliate links because I am obsessed and do all my shopping on Amazon and want it to be that easy for you too! 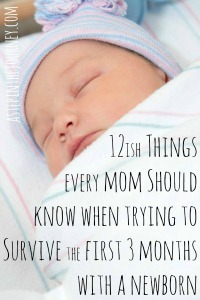 Also take a folding lawn chair and nursing pillow, especially if baby is under 2 months and still eating on demand. Stroller/car seat/or baby beach tent for naps. The first time we took our one-year-old son (now 15) to the beach, he was overtired from the trip, and a bit cranky. The sand was rough with lots of tiny gravel, and though I packed carefully, I hadn’t brought any sandals or little water shoes for him. Thank goodness we were able to find some in his size, and he was happy! keri @ shaken together recently posted…Red, White & Blue Patriotic Party Food!